The Englewood Farmers Market kicked off its sixth season this past Thursday morning. If you have never been, you are missing out. 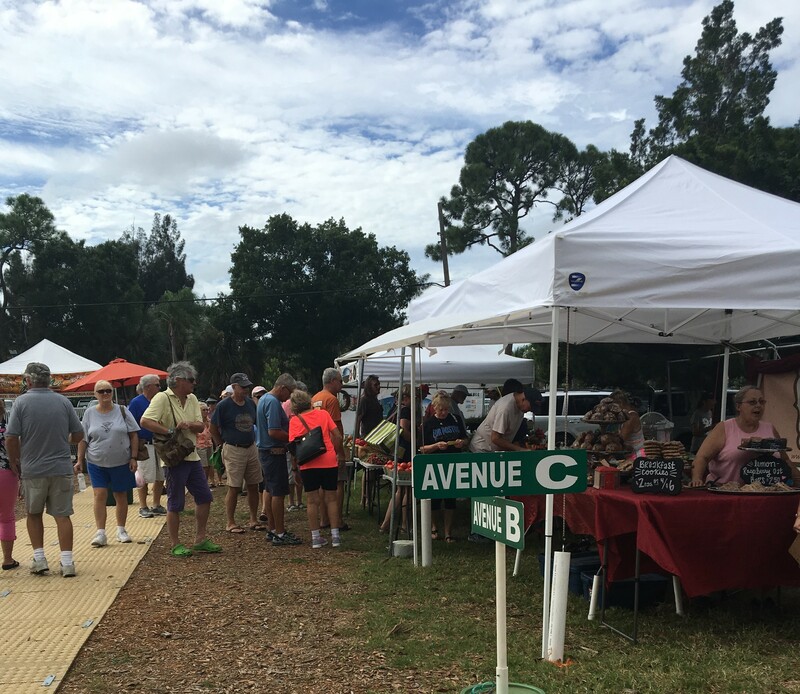 Although forecasts for Hurricane Matthew cast a little uncertainty as to how the day would play out, the weather was more than cooperative and attendance was up from last year’s first market of the season. The market is open from 9AM to 2PM, so I had not been able to attend in the past. This was my first time and I was so impressed! I will be returning frequently in the future. I asked guests how they knew about the market’s opening today. Some saw it on Facebook, others mentioned the banners draped across Indiana (SR 776), some said they saw flyers posted locally, and one lady said she wrote it on her calendar last year to make sure she would not miss it. I spoke with both attendees and vendors, asking about the market experience. One first-time guest was a gentleman visiting from South Carolina. His family evacuated here to stay with his brother, who brought them to the Englewood Farmers Market “for something positive to do together.” Another woman said she attended every week last year and makes a morning of it. She starts with Chai at the Mermaid Café down the street, walks through the market, then sometimes grabs another Chai. When asked about market favorites, besides repeated mentions of the friendly environment, answers were as diverse as the guests. I overheard the vendor at Leah’s Lemonade really raving to a customer about the quality of Joshua Citrus’ fruit. Some guests said the exotic mushroom stand was the most unique. Others listed baked goods from the variety of vendors including BAM German Bakery, Daily Bread, bagels and Island Gluten Free Bakery. Maggie’s Seafood came up most frequently as “must visit” stop for shoppers. Perry’s Original BBQ was said to have the best brisket around. The large paella pan caught the eyes and taste buds of many and Jason’s Fire Fusions made a few eyes water. Furthermore, a number of people told me they preferred to shop here for organic produce, baked goods, and honey, explaining the quality was better and the organic label more reliable. Smiling people purchased vibrant orchids, fruit, and vegetables. It was an explosion of color. The Englewood Farmers Market started back in 2011 with around 25 vendors and has grown into the thriving market/event it is today. It is a non-profit organization that donates all of its profit to local charities including Meals on Wheels, local food banks, the kids backpack program, Englewood Community Care Clinic, and others. A committee oversees vendor selection to ensure the products are high quality and that duplication and competition with local merchants is limited. For a list of current vendors or for information on becoming a vendor, email them at info@englewoodfarmersmarket.org, visit their website http://englewoodfarmersmarket.org or @englewoodfarmersmarket page on Facebook. Again, if you’ve never been, you are missing out. 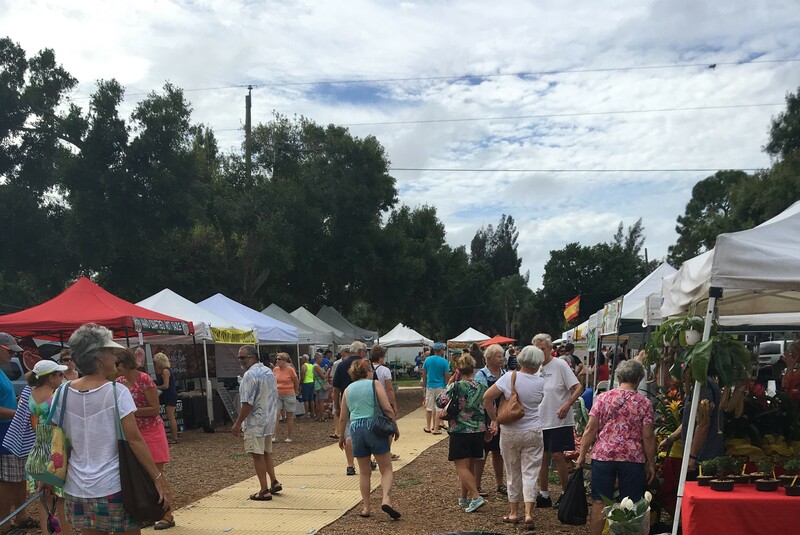 The Englewood Farmers Market is open every Thursday from 9 AM until 2 PM, October through May. Support the community and make plans to attend. You will not be disappointed.